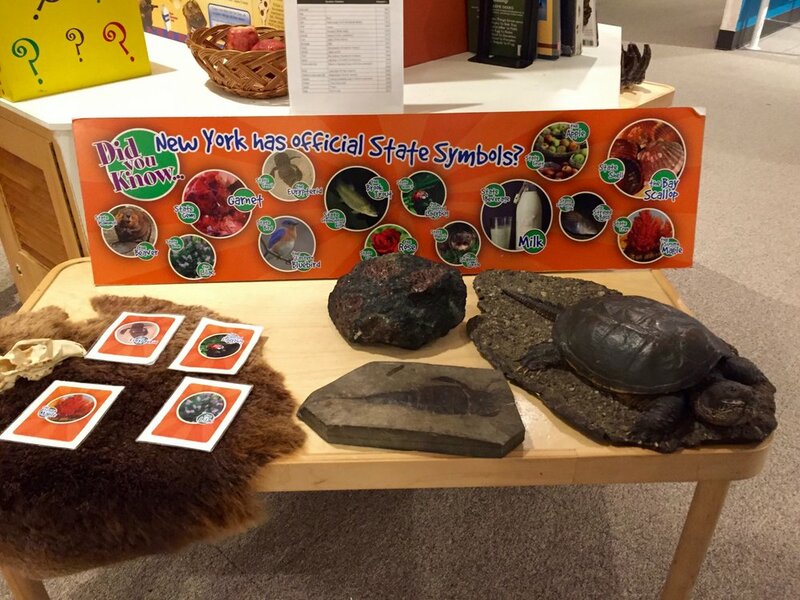 Albany's New York State Museum is a must-visit for every New York kid, especially the city kids who've grown up at the big-deal museums in NYC. Seriously, this museum is like a greatest hits collection for fans of the American Museum of Natural History, the New York Transit Museum, and Jane's Carousel. You can get the whole experience in a couple of easygoing hours. Plus, it's got totally edible cafe food (personal pizzas, people!) and an astounding Fire Engine Hall that will bring little firetruck fans untold joy. Plus, admission is free, with a very reasonable suggested donation slated at $5 per individual or $10 per family. And best of all, you're not going to see the crowds you'll encounter in the city. We visited on a recent Saturday afternoon and pretty much had the whole place to ourselves. For the most part, the taxidermied specimens in the animal dioramas are not behind glass. 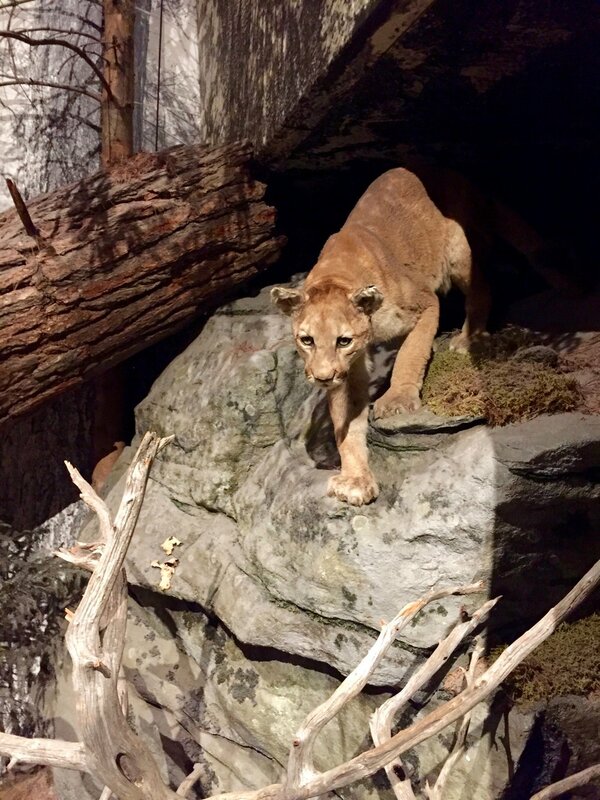 I imagined the days when one might have encountered a mountain lion prowling down a mountain path in the Catskills, and it sent a chill through my bones. Ramona was not afraid. She wasn't scared of the wolves, either. Giant moose? Just keep it casual. I'm pretty sure I heard angels singing when we walked into The Discovery Place and we were the only people in it. 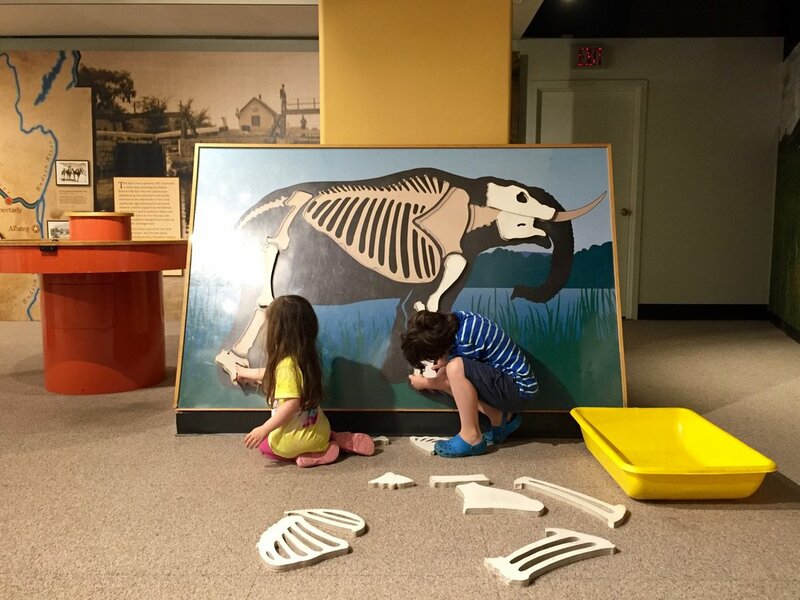 It's a hands-on room for kids to explore, so Archer and Ramona gleefully picked up the skulls of forest creatures, ran their fingers through the thick, soft fur of a beaver pelt, and put together a giant puzzle of a mastodon skeleton. The museum is laid out in a way that makes it easy to skip through any area that doesn't suit your fancy. For instance, we just breezed through the Minerals of New York section because nobody else shared my excitement about this gorgeous green chrome tremolite, which was totally getting all up in my chakras. Archer loved the Mohawk Iroquois longhouse, and if the kids weren't so spooked, I could've stayed longer to listen to the recording of a storyteller as we examined the dark scene inside. Ramona preferred the Mohawk Iroquois village scene, populated with teeny, tiny figurines. Archer, a 7-year-old with a serious interest in early mammals, spent quiet some time with the Cohoes Mastodon, so happy to be far away from the crowds the surround the bones of ancient creatures at the Museum of Natural History. But by the time we got to the whale skeleton, almost-4-year-old Ramona needed a break. 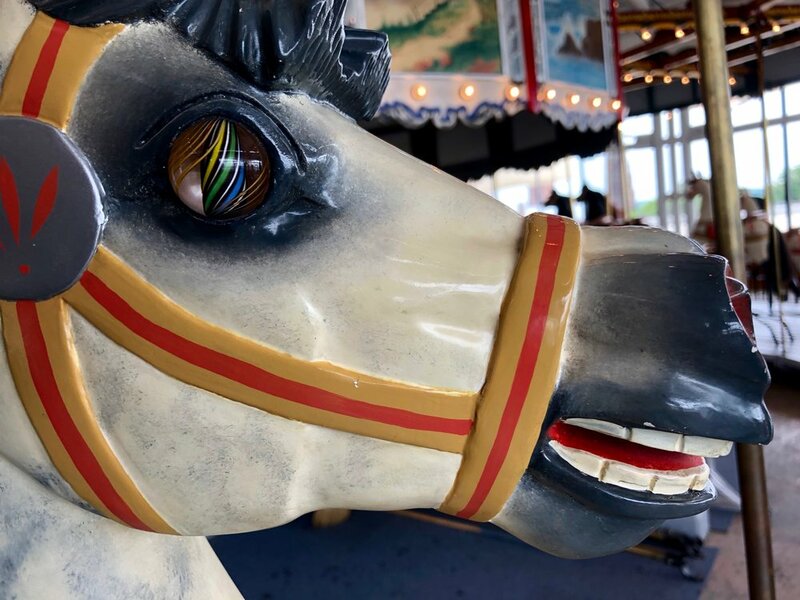 Good thing the museum's carousel is just an elevator ride away! It's beautiful, it's free of charge, and it runs every 15 minutes. This is a blessing for any parent who has queasily endured too many merry-go-round rides in a row. Breaks are good. I could post photos for days, but you've got to see this place for yourself. There's a Sesame Street scene, an antique NYC subway car, and so many little details to soak up. It's a great place to wake up your sense of wonder. The NYSM is located at 222 Madison Avenue in Albany, NY; 518-474-5877. Open Tuesday through Sunday, 9:30 AM through 5:00 PM. Closed Mondays; closed Independence Day, Thanksgiving, Christmas, and New Year's Day.